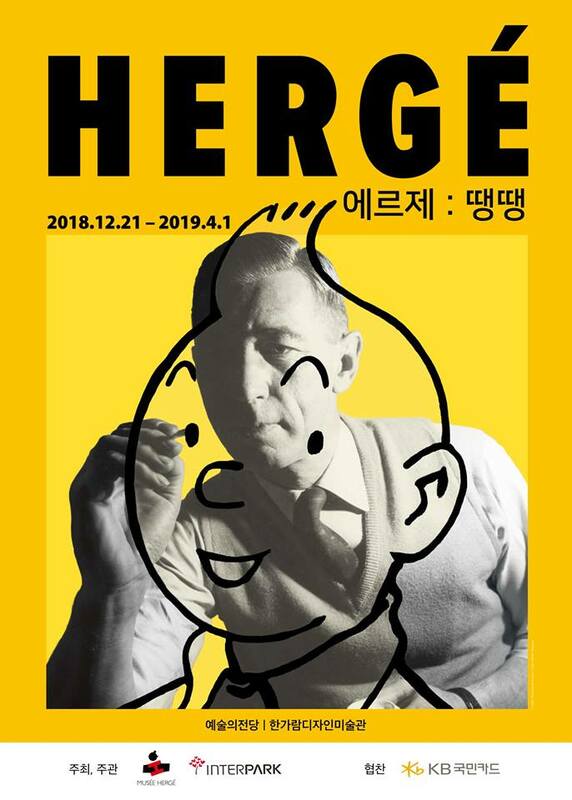 Hergé exhibition at Seoul Arts Center – Hangaram Design Museum (South Korea). A retrospective commemorating the 90th anniversary of the birth of Belgian cartoon character Tintin by Hergé who is known as the father of European comics, will be held for the first time in Asia from December 21st to April 1, 2019 at Hangaram Design Museum, Seoul Arts Center. The exhibition reflects the works and exhibitions displayed earlier in Europe. It consists of a total of 477 works including original drawings, paintings, photographs, and images. It is divided into 10 exhibition spaces mainly on the theme of each destination in the Adventures of Tintin. Ambassade van België in Korea, Kuifje Korea Shop, Sol Publishing Co.